Ross Snyder, horn, has performed in eastern Nebraska since 1996 when he joined the Omaha Symphony. He will serve as Acting Principal for the Symphony’s 2014-2015 season. 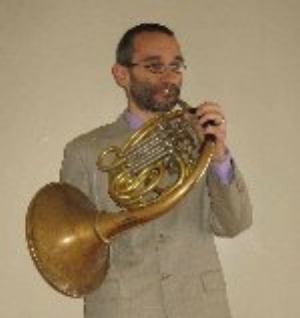 He has been a guest player in many orchestras’ horn sections, including on recent Grammy Award-winning recordings by the St. Louis Symphony and the Kansas City Symphony. Mr. Snyder has performed chamber music in Sapporo, Japan’s Pacific Music Festival, Chamber Music Hawaii, and as a member of both the Omaha Symphony Woodwind and Brass Quintets. He was a founding director of the Omaha Chamber Music Society and performed on the inaugural Summer Concert Series concert in 2002. Mr. Snyder is married to harpist Katie Wychulis. They have three daughters.